Julian Perlman focuses his practice on dispute resolution. He is an experienced general commercial litigator and trial lawyer, with a particular emphasis on antitrust and other complex commercial litigation matters. While many legal disputes settle before a final judgment can be reached, Julian has unique experience working on matters, on behalf of both plaintiffs and defendants, which have been decided by judges, juries, or arbitrators. Julian brings this practical trial experience and view of sustained litigation to all aspects of his dispute resolution practice, from pre-filing demand letters to post trial briefings and appeals. Prior to entering the legal profession, Julian worked in the political arena, in particular for the former Governor of Pennsylvania and Mayor of Philadelphia, Edward G. Rendell, and for the former Delaware Attorney General, M. Jane Brady. Julian has been resident in the firm's New York and Philadelphia offices. Represented a major manufacturer of building fixtures in an unfair competition dispute brought by a competitor, related to the fire safety performance of the competitor’s products. Advises numerous start-up companies, particularly in the apparel and accessories markets, regarding corporate formation and governance issues, as well as intellectual property matters. Involved in the court-appointed BakerHostetler representation of Irving H. Picard, Securities Investor Protection Act (SIPA) Trustee for the liquidation of Bernard L. Madoff Investment Securities LLC. Julian worked specifically onPicard v. JPMorgan Chase & Co., et al. Advises and represents a significant investor in ongoing litigation against an allegedly-fraudulent investment fund. Involved in the court-appointed BakerHostetler representation of Irving H. Picard, Securities Investor Protection Act (SIPA) Trustee for the liquidation of Bernard L. Madoff Investment Securities LLC. Julian worked specifically on Picard v. JPMorgan Chase & Co., et al. Member of the team that obtained injunctive relief and protected the client’s trade secrets after a potential corporate merger was scuttled, and the potential acquiring party instead poached key executives from its target. Has advised pharmaceutical clients regarding potential mergers and acquisitions, and their interplay with previous agreements and settlements entered into by those clients. Was heavily involved in an ongoing dispute between the founders of the world's largest privately-held beverage company, which culminated in a 20-day bench trial in New York state court. This case was the single largest corporate dissolution case in the history of New York state. 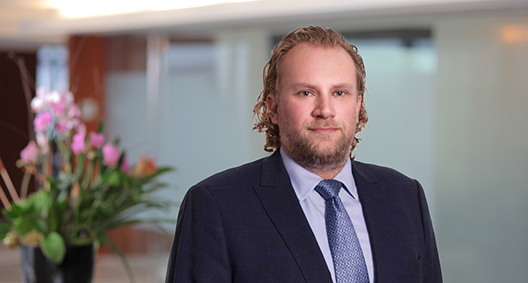 Key member of the team representing an important U.S.-based pharmaceutical company in the arbitration following breach of contract claims over its life-saving cardiovascular product. The resolution ensured the company's ability to continue to utilize their product. Served as lead attorney in a high-profile class action brought on behalf of his clients—photographers, illustrators, and other visual artists—alleging copyright infringement by the world's largest Internet search engine and its digital book project. Counseled a major financial institution that had invested $2.4 billion into the world's largest money market fund when the fund “broke the buck.” Management of the client's claims and monitoring of scores of similar cases helped maximize the institutional investor's return. After acquiring a major holding in a prominent women's apparel and accessories brand, a private equity firm faced a demand for arbitration from the company's founders. Key member of the team that arbitrated the dispute and helped the client protect and solidify its substantial investment. When the worldwide governing body for men's tennis was sued for changing the date and level of one of its member tournaments, a landmark antitrust jury trial ensued. Served on the team representing the governing body and its directors, defending the right to make decisions regarding tournament actions. Ultimately, the jury decided the matter in favor of the client, which enabled sports leagues across the world to continue to engage in activities, such as setting calendars and tiers of tournaments, without fear of repercussions. Advised a major financial institution regarding potential litigation risks when internal concerns arose about its accounting treatment of derivative products. Drafted and filed a lawsuit on behalf of a major U.S. sports league against a foreign company that had threatened to default on its debt obligations. As a result of quick and effective filing, the sports league was paid in full within hours of the filing and the action was withdrawn. A Russian hockey team brought a suit against a U.S. hockey team that had recruited its star player. Member of the team representing the U.S. hockey team and player and obtained a decisive victory with profound implications for sports leagues and players in an increasingly international services market. Member of the team that brought antitrust and unfair competition claims to protect the client’s interests in the relevant market when the C.E.O. of the largest waste disposal company in the world allegedly made disparaging remarks regarding a competitor and engaged in other anticompetitive conduct. Represented a matrimonial pro bono client of the firm with respect to a trust fund established for her daughter. Has represented a long-term pro bono client of the firm with respect to minor criminal charges that had the potential to negatively affect his immigration status, and was successful in having those charges dismissed. Represented an African immigrant seeking asylum in the United States, one of the longest ongoing asylum cases in the United States. Counseled the client not only with respect to his legal claims, but also helped the client obtain treatment for chemical dependencies that were the result of abuse and torture in his home country.